Today Mophie have come up with an ingenious solution to wireless charging for us iPhone users in the form of the Mophie Juice Pack Wireless. 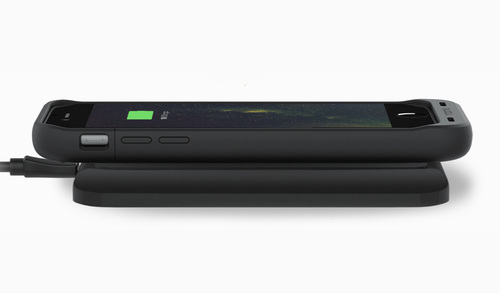 The battery case maker is launching a wirelessly charging battery case for iPhone 6, iPhone 6S, iPhone 6 Plus, and iPhone 6S Plus. Mophie says the Juice Pack Wireless will add more than 50% extra battery life though the wireless charging will likely be the big sell.